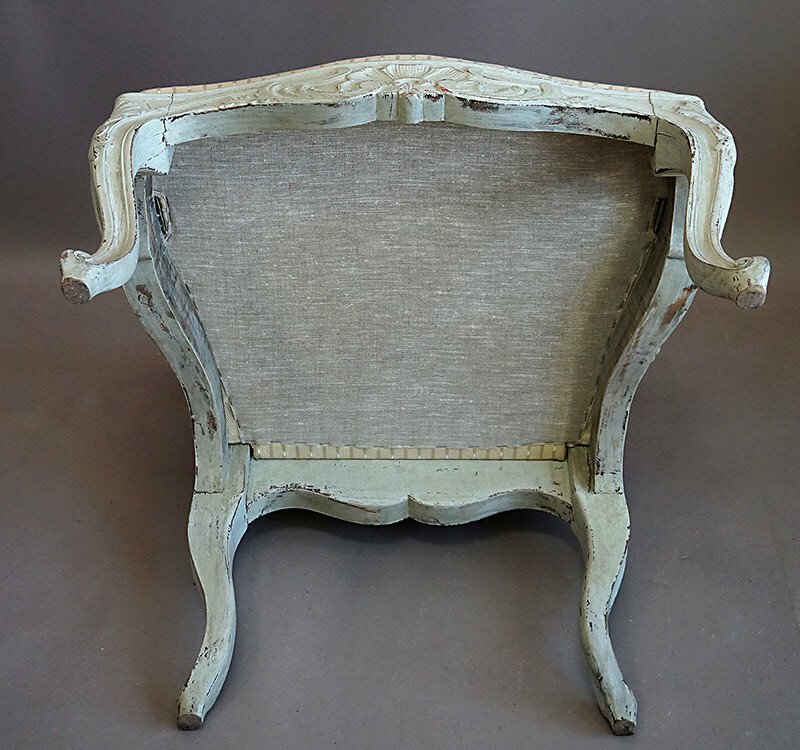 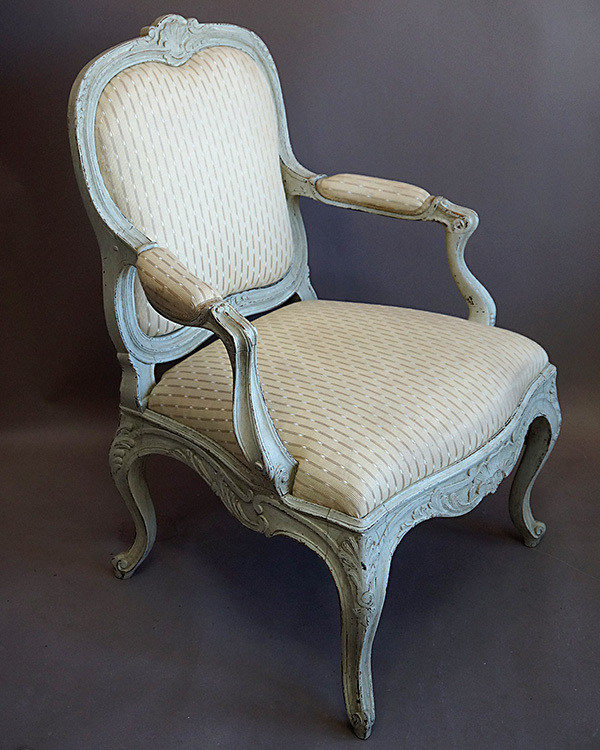 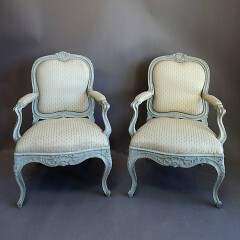 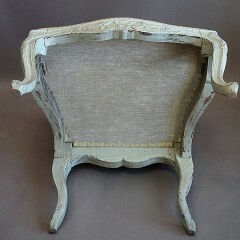 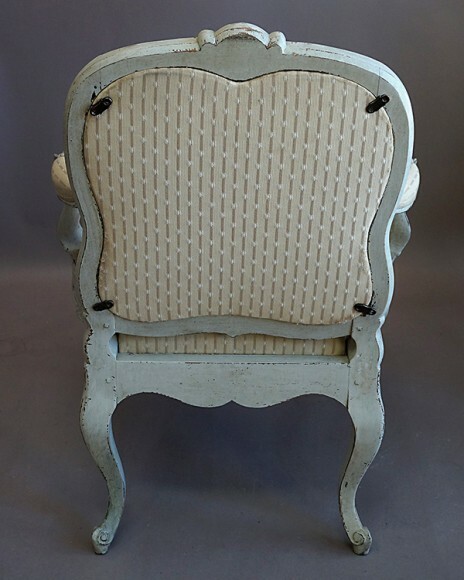 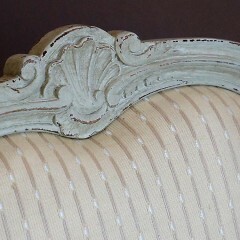 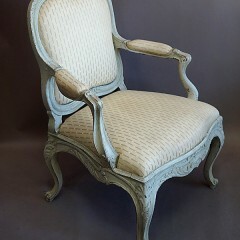 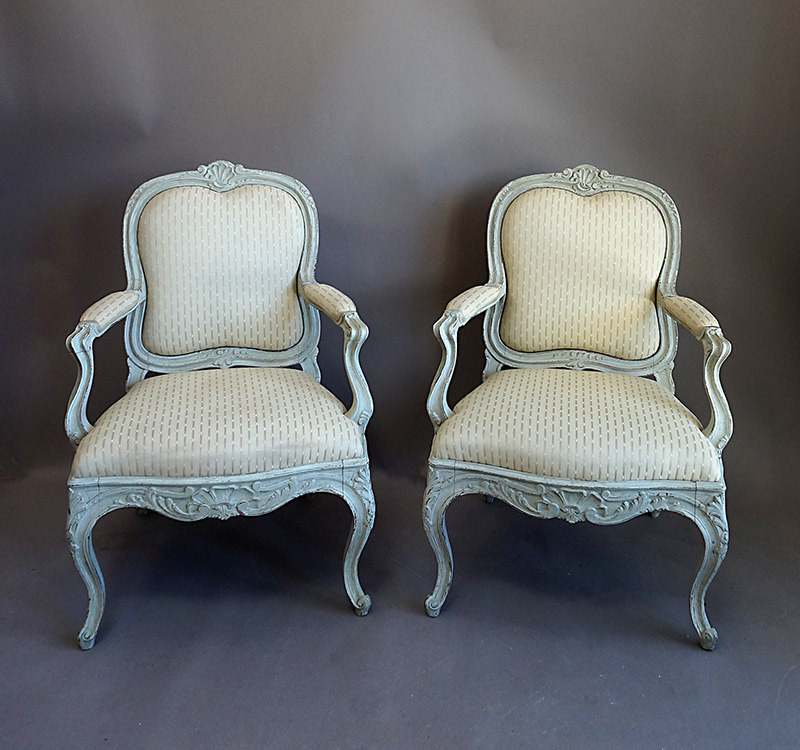 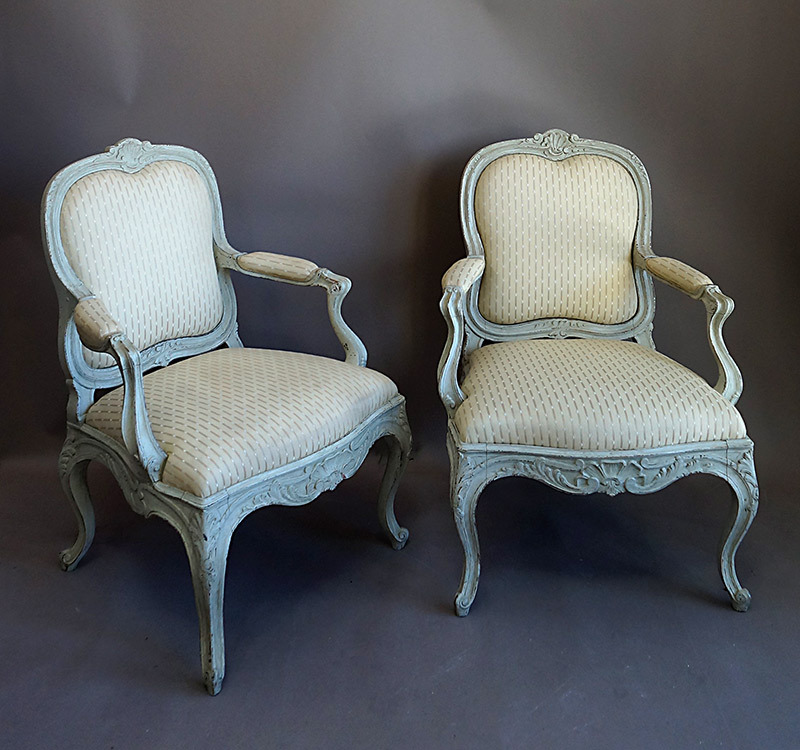 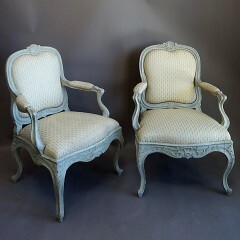 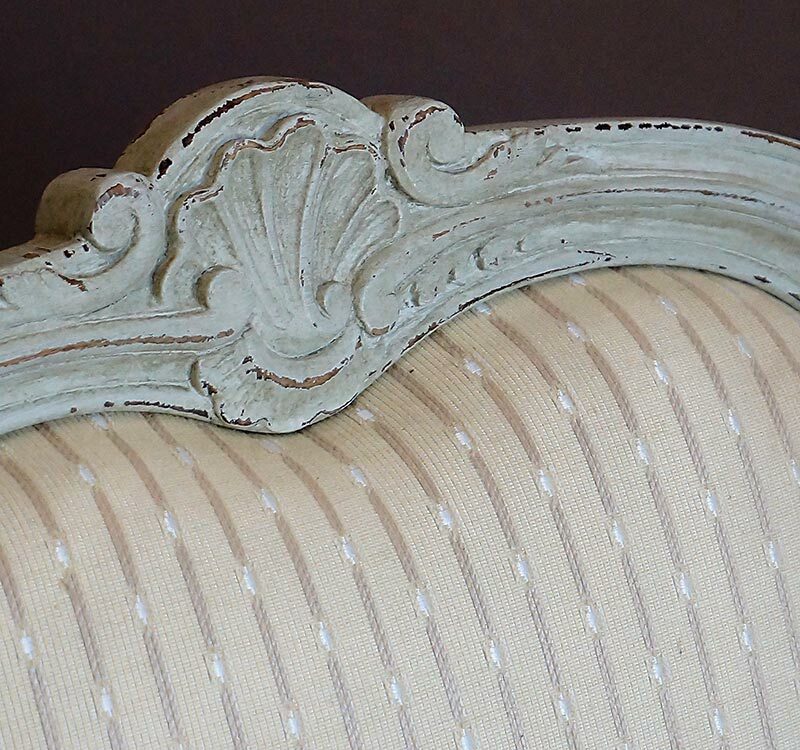 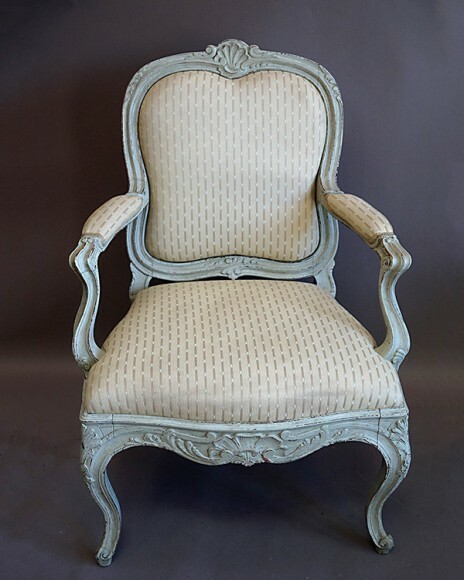 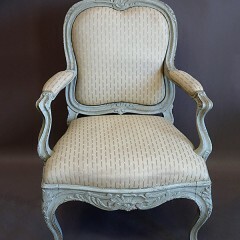 Pair of Swedish armchairs, circa 1880, with frames carved in the rococo style. 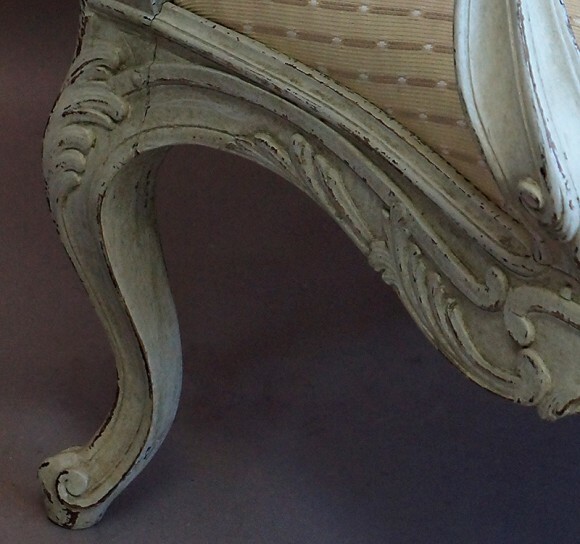 The curved crest has a central shell motif with foliate detail on either side. 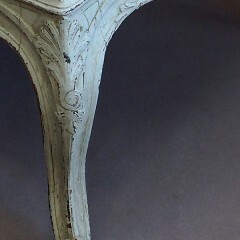 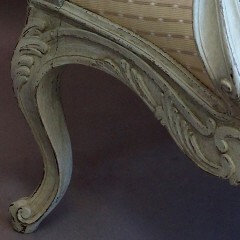 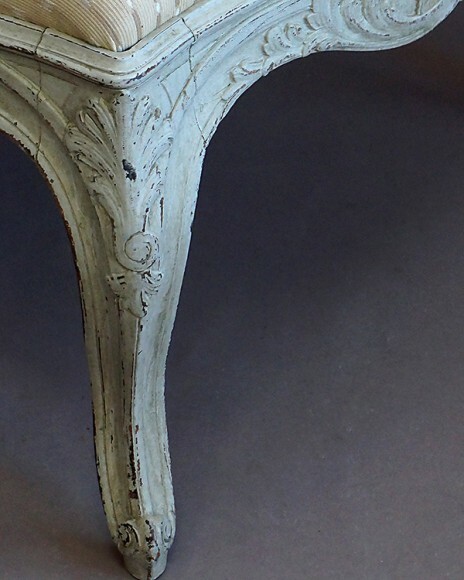 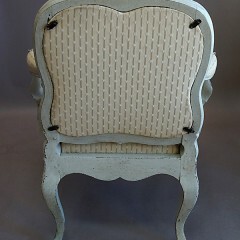 The same elements decorate the lower portion of the frame and the legs. Scrolled feet, cushioned arm rests.